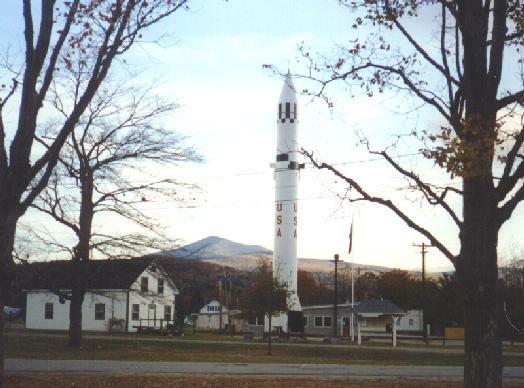 The Gentle Giant, Moosilauke has been climbed by locals for nearly 300 years. 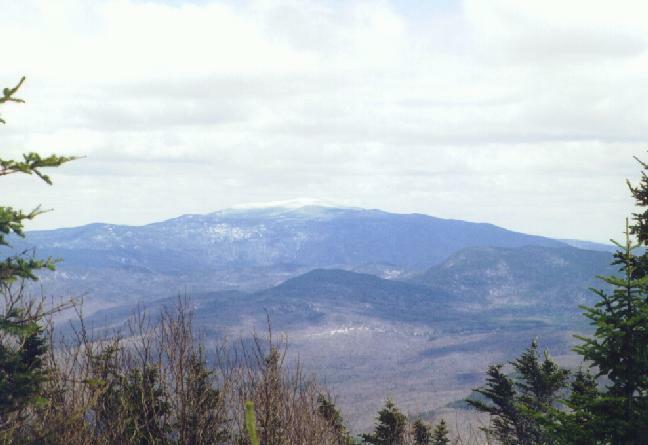 At the base of the mountain on the east is the Moosilauke Ravine Lodge, which, along with 4500 acres of the Baker River watershed is owned by Dartmouth College. 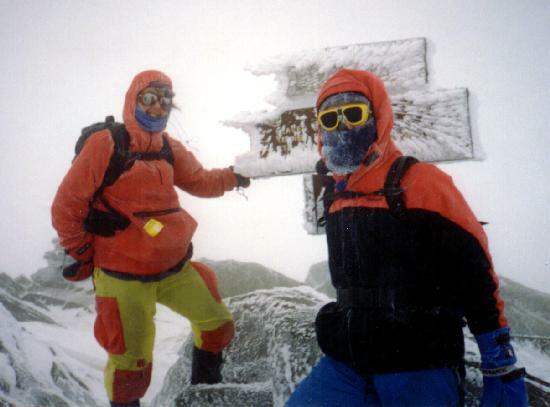 The mountain has a long history of use as a hiking destination, source of timber, and winter playground. 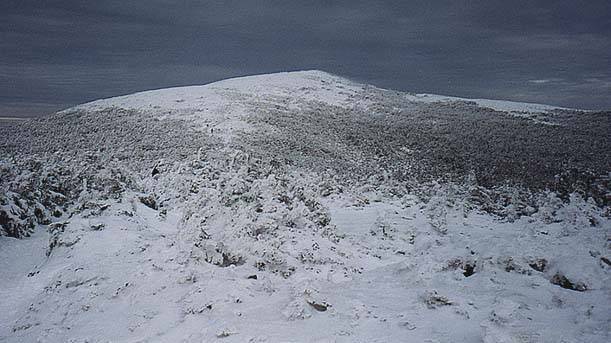 The summit is bare and has wonderful 360 degree views of the rest of the Whites, Vermont, and even into the Adirondacks on a good day. 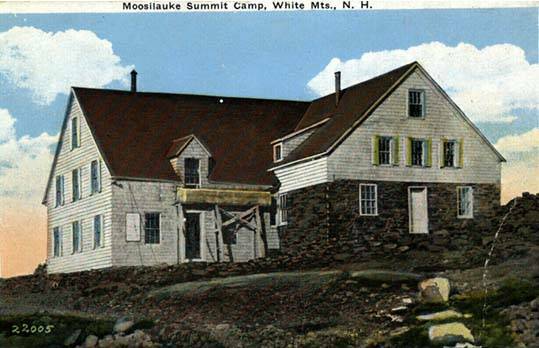 In 1860 the Prospect House, a stone hotel patterned after the Mt Washington Summit House was opened on the summit of Moosilauke. It went through many changes over the years, and it's name was changed to the Tip-Top House. 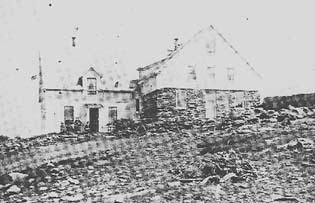 The hotel and a circular tract of land on the summit was given to Dartmouth in 1920 and students ran the place during the summer months like an AMC hut. 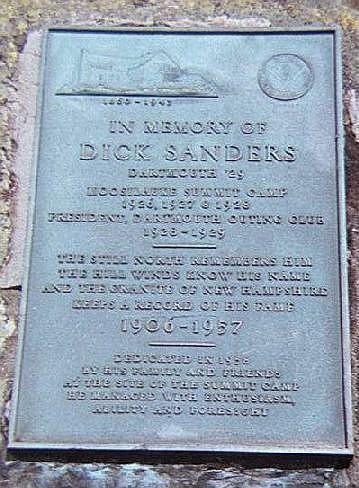 It burned in 1942, and the stone foundation can still be seen. 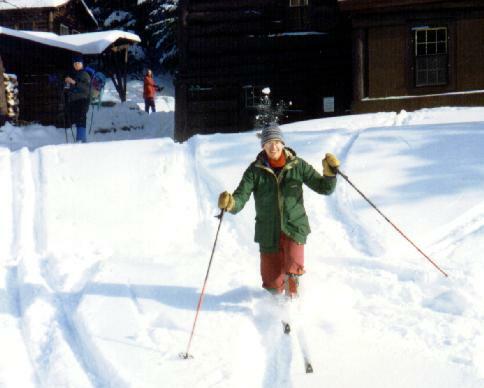 Just below the summit is the concrete foundation of the summit cabin/emergency shelter which was removed in 1978. An attempt was made the following year to remove the concrete foundation with a portable jack-hammer, but it proved too difficult a task. 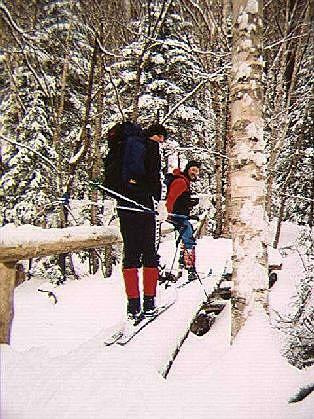 Many of the popular trails start in front of the Ravine Lodge, just across the Baker River. 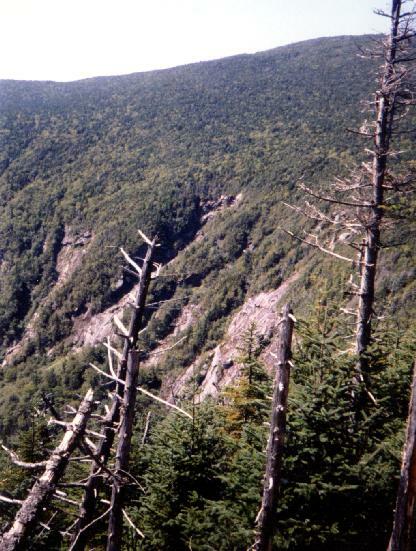 The most popular trail is Gorge Brook, which provides the most direct route the summit. 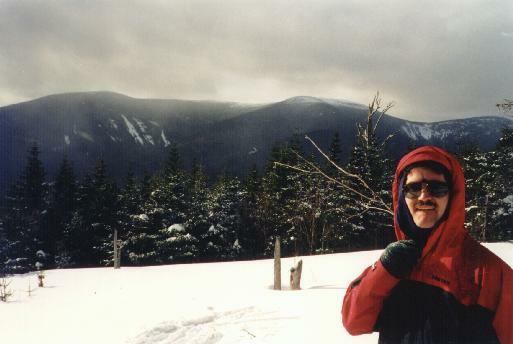 The Snapper Ski trail, which was completely relocated in 1995, connects to the Carriage Road which passes South Peak on the way to the main summit. The three trails form an excellent loop, of approximately 7.5 miles. 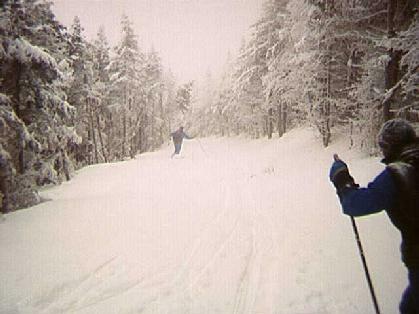 All three trails are fun backcountry ski routes when snow conditions allow. 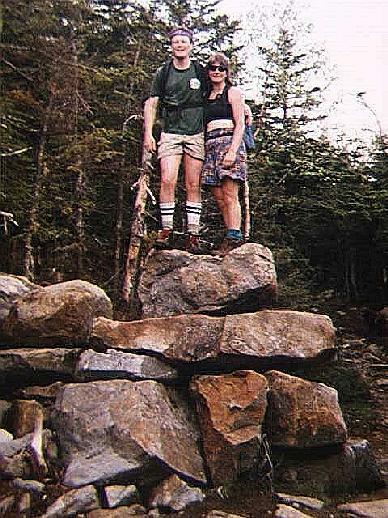 The Carriage Road was rebuilt in 1994 due to severe erosion. Snowmobiles are allowed up the Carriage Road up to 1000' below the junction with the Glencliff trail. At that point there is a barricade and a turnaround. The Glencliff trail is part of the AT, running up from Sanatorium Road in the town of Glencliff. 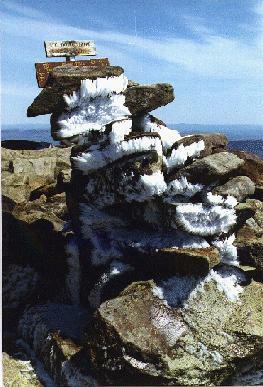 It connects with the Carriage Road near South Peak and continues to the summit from there. From the north, the AT goes up the Beaver Brook trail, which is quite steep, going over some pressure treated steps held onto the rock face by rebar that was drilled in. It passes the Beaver Brook Shelter, then goes over the summits of Mts Jim and Blue, before heading up to the summit. It connects with the Benton trail for the last .4 miles. The Benton trail comes up from the northwest, starting on the Mud Pond road. 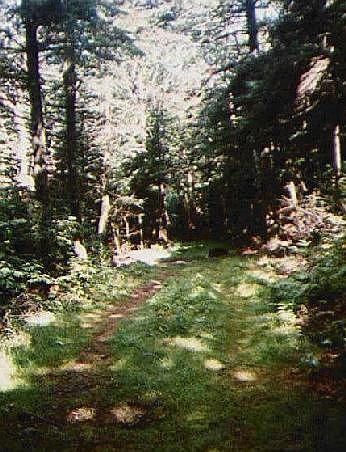 The Carriage Road starts at Breezy Point, off Rt 118, and runs at a steady grade for 5 miles to the summit. 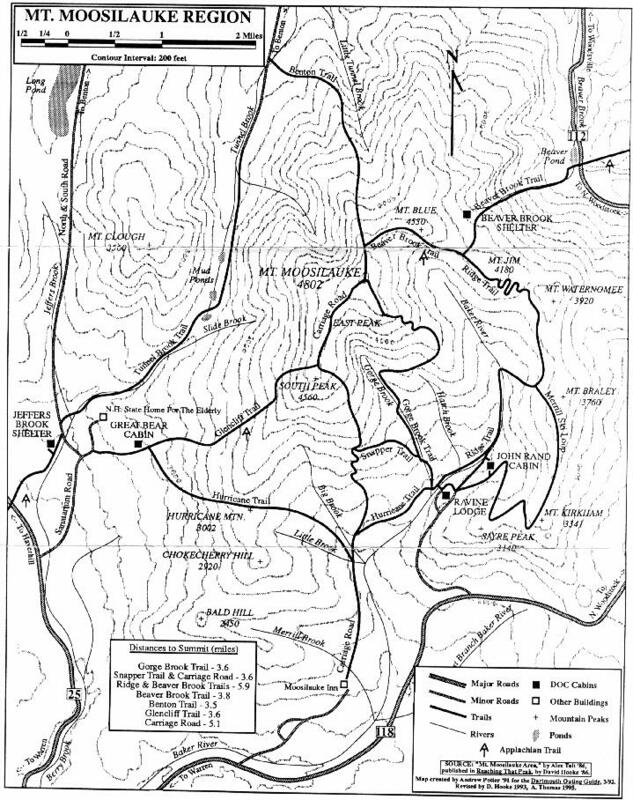 The final trail is the Asquam Ridge trail which starts at the Ravine Lodge and travels along the Blue Ridge, hitting Mt Waternomee before meeting up with the Beaver Brook trail near the Beaver Brook shelter. Aside from the Beaver Brook Shelter, there is no camping on the Dartmouth owned land. 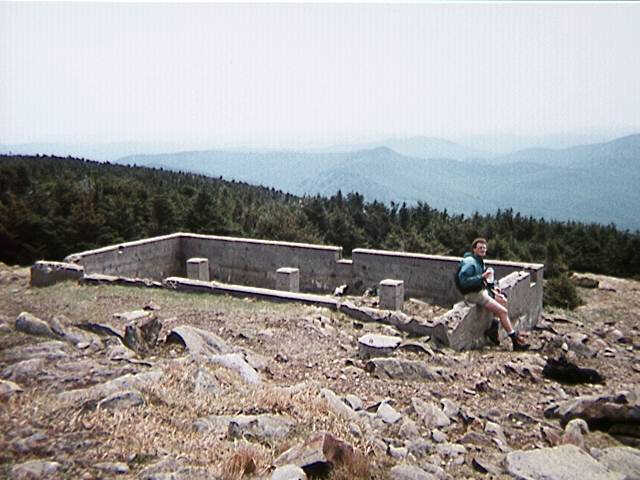 The Jeffers Brook shelter is just south of the mountain on the AT. Some camping may be found down the Benton and Glencliff trails, with standard WMNF camping rules applying. 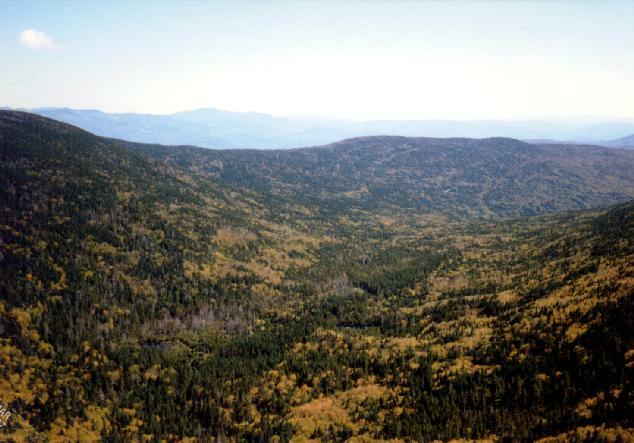 In 1942, a US Army B-18 Bolo bomber crashed on the side of Mt Waternomee, part of Moosilauke's Blue Ridge. 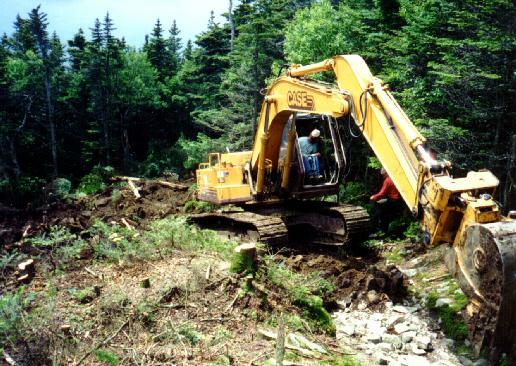 The crash site can be reached by following an old trail up from a logging road off NH rt 118. 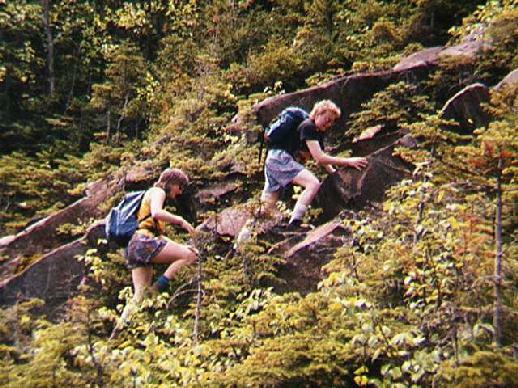 Gorge Brook - This is the most direct and popular route up the mountain. It leaves the Ravine Lodge area either in front of the lodge or from the trail above the car turnaround, crossing the Baker River on the metal bridge. It continues alongside Gorge Brook, crossing twice before arriving at the Last Sure Water area in 1.4 miles. The route from here on was relocated in the early 90's. It then climbs more steeply, joining with an old logging road for a while before hitting a series of switchbacks. There are views of Jobildunk Ravine and then a long exposed section known as the Balcony before hitting East Peak, a ill-defined open area. After a short drop the trail hits treeline and approaches the summit. Total distance is 3.7 miles. 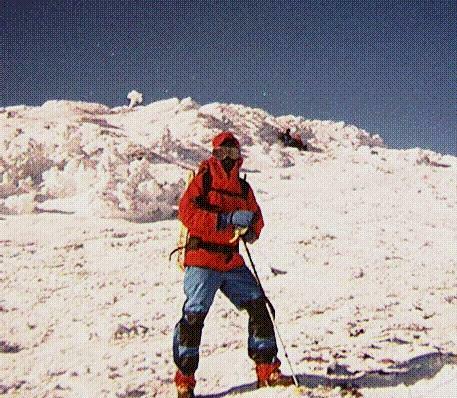 This makes for a challanging ski route in winter. 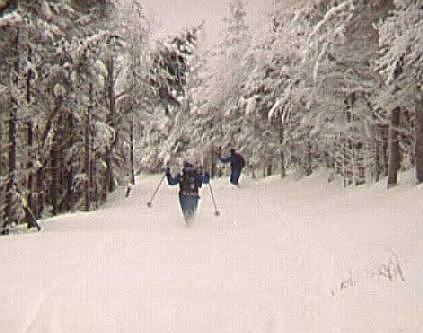 Snapper Ski Trail - Originally built as for skiing, this trail was named for Ed "Snapper" Harris who worked on the trails at Moosilauke for many years. 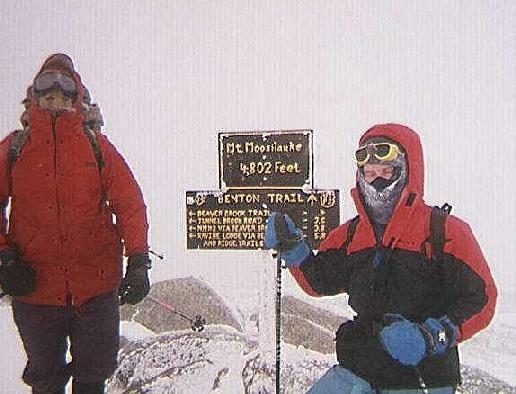 In the mid-90's the entire trail was relocated to its current location. 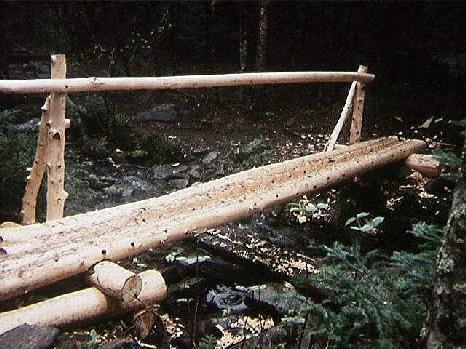 It branches off from the Gorge Brook trail at the first bridge, crossing from right to left. It then takesa fairly steady approach up the mountain, crossing the old Snapper trail which is still visible. It hits the Carriage Road at ZZZ miles. From there, you can loop make a loop by using the Carriage Road and Gorge Brook trails, for a total distance of 7.4 miles. Carriage Road - This was originally built in the late 1800's as the road to the summit hotel. Cars and bicycles are not allowed on the trail, snowmobiles are allowed up to the turnaround located roughly 1000' below the AT crossing. This trail is gentle and wide for most of its length, having been completely graded in the late 1990s after decades of erosion. 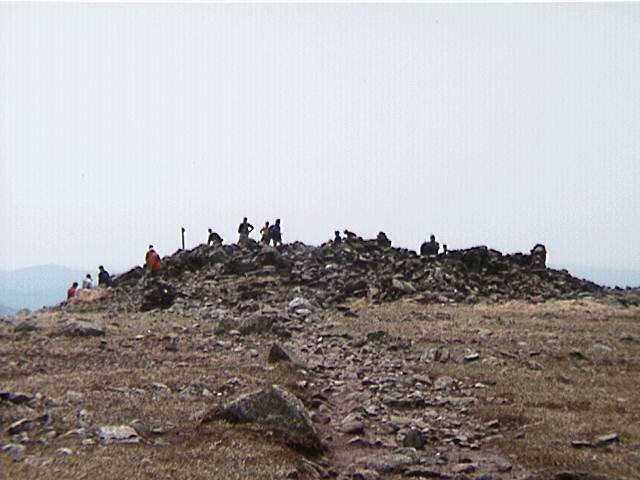 It's 5 miles in length, with the top .8 miles along the ridge which is exposed and can be hazardous in bad weather. The stretch from the Glencliff trail juntion to the summit is part of the Appalacian Trail. Ravine Lodge - The Ravine Road leaves NH Rt 118 6 miles from the junction with NH Rt 112 and 6 miles from the junction with NH Rt 25. Parking is along the side of the road, near the Ravine Lodge. No WMNF parking pass is required when the road is open, but in winter, when the road is gated, a parking pass is needed in the plowed area near 118. The gate is usually closed from the end of November until early May. 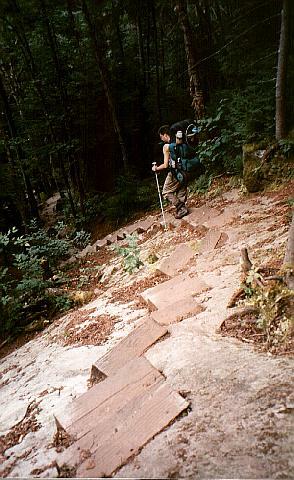 This trailhead serves the Gorge Brook, Snapper, and Asquam Ridge trails. Breezy Point - This is the site of the Moosilauke Inn, now burnt down, and the start of the Carriage Road. The road leaves NH Rt 118 about 5 miles from the junction with NH Rt 25 in Warren. There's a WMNF trail sign at the intersection, follow the road to the end, about 2 miles. 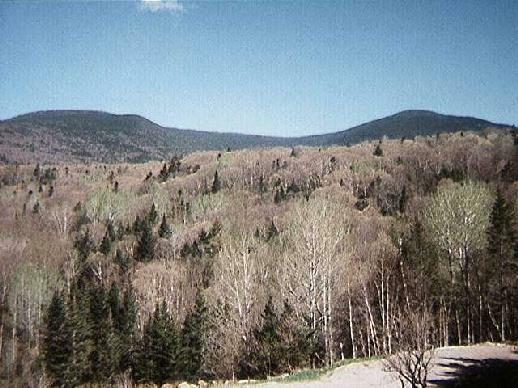 Beaver Brook - The AT crosses through Kinsman Notch near the height of land, with a parking lot on the south side. A WMNF parking pass is needed. Glencliff - Take Rt 25 north from Warren, turning right onto Sanatorium Road. The trailhead is on the left, next to a field with a WMNF sign. A WMNF parking pass is not needed. Benton - The trailhead is located on the Tunnel Brook road, off of Noxon Road. This connects to the junction of NH Rts 116 and 112, north of Kinsman Notch. A WMNF parking pass is required. 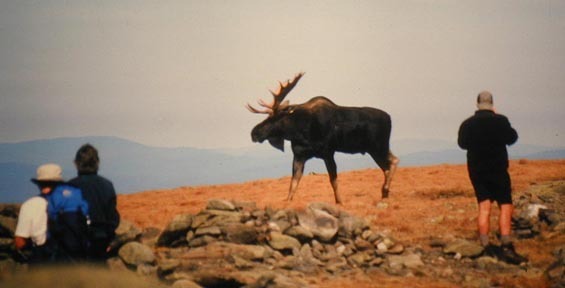 A moose on the summit!